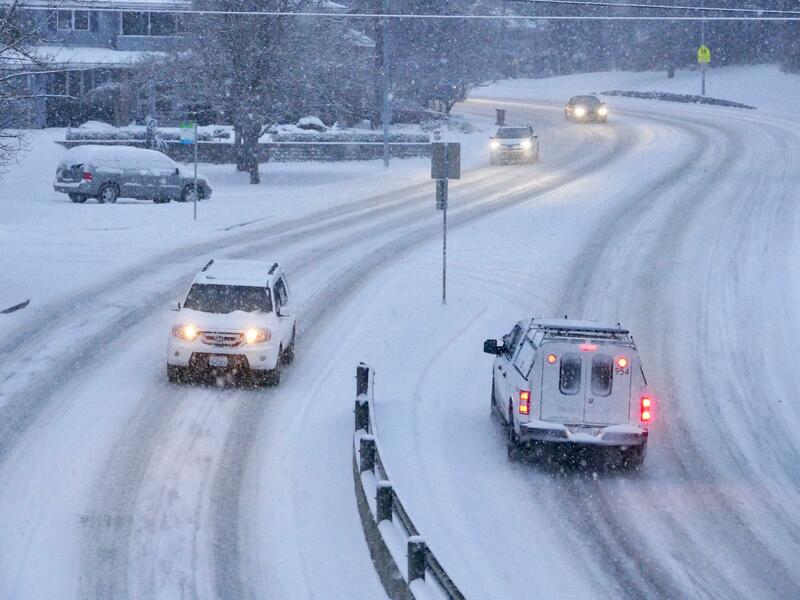 UPDATED: Sat., Feb. 9, 2019, 10:34 p.m.
Friday’s winter storm and blustery conditions on Saturday forced widespread postponements of most district basketball tournaments across Eastern Washington and North Idaho. Only a select few games occurred as scheduled. The District 7 2B tournament second-round games at West Valley HS were postponed until Monday. The District 7 1B games at Deer Park HS were also pushed because of travel difficulties. The boys bracket was moved to Monday and the girls will play on Tuesday. The District 9 1B boys tournament was postponed in part. The Oakesdale vs. Prescott matchup was moved to Monday at 4:30 p.m., but the Pomeroy at Garfield-Palouse game was played as scheduled Saturday at 6 p.m. The District 7 2B games at University HS went on as planned since the teams were already in the area on Friday night for the first-round games. In Idaho, the girls 3A District 1 second-place game between Kellogg and Bonners Ferry at Timberlake HS was postponed until Monday at 6 p.m. The 5A State play-in game between Post Falls and Meridian at Grangeville HS was played as scheduled. Idaho had several boys regular-season games postponed or canceled outright. All wrestling on Saturday across the state was canceled by the WIAA on Friday. For all the postponements, reschedules or cancellations, please visit our schedule page at NWPrepsNow.com. Published: Feb. 9, 2019, 3:19 p.m. Updated: Feb. 9, 2019, 10:34 p.m.